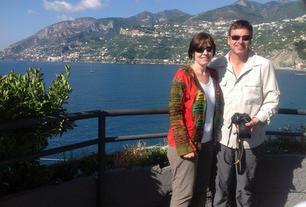 As newlyweds, the possibilities for romance during Italy Tours and Italy Vacation Packages are plentiful. There are intimate restaurants with incredible menus, wonderful Italian wines to toast your love and life together, and scenic vistas and interesting destinations to explore. Where better to celebrate your new life as a married couple than as you enjoy Avventure Bellissime’s fascinating Italy Tours? Italians love romance and everything that’s conducive to amore is found all around you here in art, music, literature, and the customs or traditions of daily life. Travelers to Italy are immersed not only in the romance language but also a culture where public displays of affection are expected, not frowned upon. There is a very old Italian saying, Il bacio e’ la piu alta poesia dell'amore - The kiss is the greatest poem of love. Here you can walk hand-in-hand, embrace as you look out over the horizon, and kiss under archways without fear of offending the locals. Life, as they say, is beautiful. And what is life without love, that constant theme in Italian artwork, literature, opera, cinema, and music? Here in the country where Shakespeare set his great romance about the star-crossed lovers Romeo and Juliet, you can still find balconies, terraces, piazzas, and enchanting eateries for quiet, intimate dinners. Just as Gregory Peck played leading man to Audrey Hepburn’s character in the classic film Roman Holiday, if you sit and watch the people around you there are so many love stories being written in real life - like the wedding last summer of formerly declared bachelor-for-life George Clooney to Amal Alamuddin. It’s not surprising they tied the knot and honeymooned in Italy, where young lovers wander the streets of cities and villages, old married couples joke and laugh, and the rich and famous come to stay. There are so many opportunities for a breathtaking honeymoon to Italy and we’re always happy to work with couples to design custom tours. If you are looking for a vacation package that takes you to see the sights in a few of our major cities we highly recommend our 10-day Amalfi Coast, Rome, Florence, and Venice Italy Vacation Package or our 12-day Magic of Italy Package, which includes stops in Rome, Amalfi Coast, Tuscany, Florence, and Venice. Both of these Italy vacation packages feature small group tours with our amazing Avventure Bellissime Italy tour guides and the opportunity to see the remnants of ancient Rome, the gorgeous beaches of the Amalfi Coast, the stunning architecture and history in Florence, and of course explore the network of canals in Venice. We always strive to provide exceptional value and incomparable service, which we are pleased is consistently reflected in client reviews online and has earned us another Certificate of Excellence from TripAdvisor in 2014. If your honeymoon is going to be your first trip to Italy and you’re not sure what you should see or do, we have plenty of advice to help with planning your very first Italian vacation. 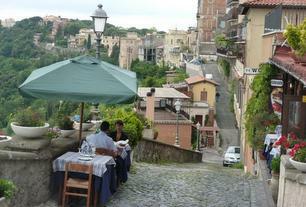 Visit Avventure Bellissime online for help designing your dream honeymoon in Italy.